You have rights in Washington following an arrest for a crime or if you are being investigated on a criminal charge. Although you’ve likely heard this before, many people fail to realize just how important it is for you to fully understand those rights if you’ve been charged or think you will be. In general, the state can’t use evidence or statements against you in your case if they were obtained in violation of your rights. 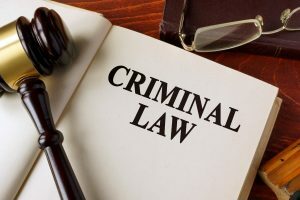 To protect yourself as much as you possibly can when you’re facing a criminal charge, you need to understand and assert all of the rights you have and have a criminal defense attorney in Lynnwood as your advocate throughout the criminal process. One right everyone is familiar with thanks to movies and TV dramas is the right to remain silent. This means that you don’t have to answer questions or say anything when you’re being questioned by law enforcement officials or testifying in legal proceedings. Generally speaking, it’s usually in your best interest to exercise this particular right, especially when it comes to law enforcement. You will not be able to talk yourself out of being arrested or charged, and anything you say – no matter how harmless it seems to you – can be used against you later. Keep in mind that law enforcement officials are not always entirely truthful during questioning or interrogations. They may tell you that you have to answer their questions. Be polite in response but stay firm and don’t answer anything. Ask for a criminal defense attorney instead. If answering questions may be something that’s in your best interest later, it’s better to do so with your attorney present. He or she can ensure that you don’t harm your case by answering in certain ways or answering questions you shouldn’t. When a law enforcement official doesn’t have a search warrant, you can refuse to let him or her search your car or property. This is the Fourth Amendment to the Constitution, which gives people the right against “unlawful” seizure or search of property. Keep in mind that you do have to comply with a search warrant, and there are some exceptions to this right. If, for example, you are lawfully arrested, the officer can search you and the area within your reach without a warrant. Officers are also able to search your car without a warrant if they have reason to believe there’s evidence or something connected to a crime in there. Naturally, the laws surrounding your Fourth Amendment rights are very nuanced and complex. However, if the police got incriminating evidence against you in a way that violated these rights, your attorney may be able to have that evidence suppressed (prevented from being used) at trial. When you are charged with a crime, you have the right to fully defend yourself. This includes calling and questioning witnesses in your trial, presenting evidence, and examining evidence presented by the prosecution. You are also supposed to have a presumption of innocence; that is, you are innocent until the prosecution presents enough evidence in your case that you are found guilty beyond any reasonable doubt. Unfortunately, jurors, judges and other people involved in the case can struggle with this presumption, which makes it more difficult for defendants to present their defense. You have the right to an attorney for all the events leading up to your trial and at your trial. Keep in mind that although the court can appoint an attorney for you known as a public defender in some cases, these attorneys tend to have caseloads that are too high for one person, and your case may not receive the attention it deserves as a result. A criminal defense conviction can have a profound impact on your current life and your future. As such, you can’t leave anything to chance once you’ve been charged with a crime. Contact an experienced criminal defense attorney at Feldman & Lee to ensure all your rights are protected and that you are mounting the best defense possible in your case.